Kelly Pressed DHS Secretary to End TPS | Cabrera & Associates, P.A. 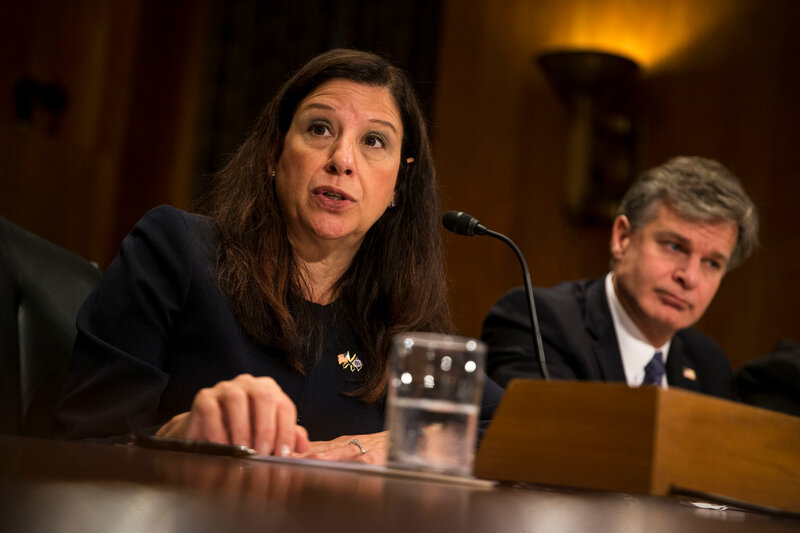 John F. Kelly, President Trump’s chief of staff, unsuccessfully pressured Elaine Duke, acting Homeland Security secretary, to end a program protecting immigrants in the United States illegally from deportation, according to people familiar with their discussions. WASHINGTON — The White House unsuccessfully tried to pressure the Homeland Security Department to end a program that allows hundreds of thousands of people from countries affected by natural disasters or violence to live in the United States without fear of being deported, according to people familiar with the discussions. John F. Kelly, the White House chief of staff, made an 11th-hour plea to Elaine Duke, the acting Homeland Security secretary, ahead of a deadline this past Monday to decide about the status of immigrants in the program from Honduras and Nicaragua. Ms. Duke ultimately delayed for six months a decision on the status of immigrants from Honduras, saying she had concluded after an internal department review that she did not have enough information about conditions in the country to decide. But she ended the protected status for thousands of immigrants from Nicaragua who came to the United States illegally after Hurricane Mitch in 1998. 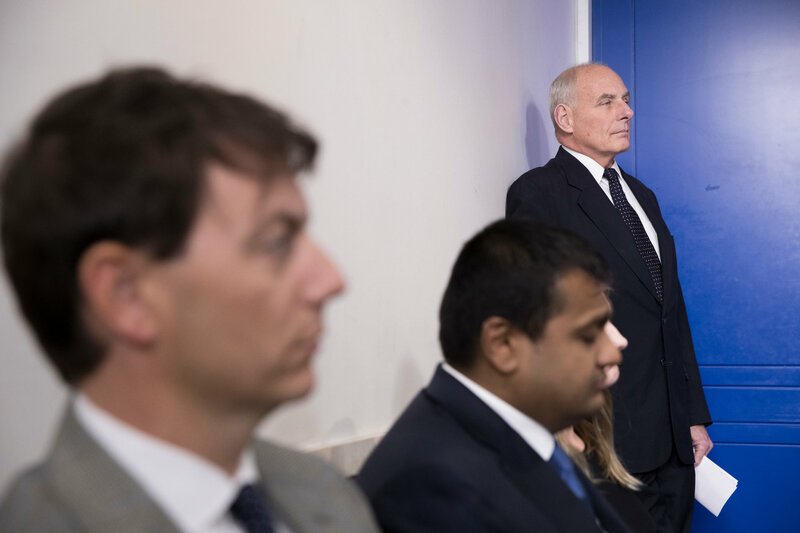 Accounts of her phone calls with Mr. Kelly laid bare the strains between Trump administration officials trying to reduce both legal and illegal immigration — a campaign promise of President Trump’s — and career immigration officials who see those efforts as overly broad and harsh. The internal tensions over the administration’s immigration agenda were on display in discrepancies among descriptions of the calls. A White House official said that Mr. Kelly had encouraged Ms. Duke to make a decision but did not pressure her to end the program. But two other people briefed on the exchange said Ms. Duke had informed the White House over the weekend of her decision to postpone ending the program for Hondurans. Soon afterward, the two people said, Mr. Kelly called Ms. Duke from Asia, where he was traveling with Mr. Trump, to tell her she had made the wrong decision and to reconsider. Ms. Duke’s decision to delay a final call on Honduran immigrants came after an internal department review. Mr. Kelly’s message to Ms. Duke was that she needed to reverse course and end the program immediately, according to one of the people briefed on the call, who, like the others, asked for anonymity to describe a private discussion. Mr. Kelly raised none of the issues about conditions in Honduras, the person said. Mr. Kelly’s focus was on a smooth confirmation process for Mr. Trump’s pick to run the department, Kirstjen M. Nielsen, and avoiding any steps that would jeopardize the administration’s immigration policies. A Homeland Security spokesman denied that account. “It is perfectly normal for members of the White House team to weigh in on major decisions,” Tyler Q. Houlton, the spokesman, said on Thursday. And the White House official said that neither Ms. Nielsen’s name nor the subject of her confirmation hearing came up during Mr. Kelly’s call with Ms. Duke. Ms. Duke also recently resisted White House pressure to write a letter endorsing Ms. Nielsen, one of the people said. Ms. Nielsen worked for Mr. Kelly when he was Mr. Trump’s first Homeland Security secretary, and followed him to the White House when he was named chief of staff in July. The Washington Post first reported that the White House pressured Ms. Duke to end the protected status for tens of thousands of Honduran immigrants living in the United States. In their discussions on Monday, Ms. Duke, who was Mr. Trump’s choice in January to be deputy homeland security secretary, also told Mr. Kelly she would resign from the department once Ms. Nielsen was confirmed, two of the people familiar with the calls said. The Senate Homeland Security committee held a confirmation hearing for Ms. Nielsen on Wednesday but has delayed its vote on her nomination while senators seek more information from her, a Senate aide said. The immigration program, known as Temporary Protected Status, was enacted by Congress in 1990 to protect foreigners, particularly Central Americans, fleeing war, natural disasters or catastrophes and was extended to Haitians after the 2010 earthquake. About 300,000 people are enrolled. The Trump administration will have to make similar decisions about Haitian immigrants later this month and El Salvadorans in March. The Nicaraguans who were protected under the program have until January 2019 to leave the United States. In a news release on Monday night, Ms. Duke said that despite getting information from a number of different sources regarding Honduras, she needed extra time to determine if ground conditions in the country warranted sending people back. She extended the temporary protective status for Hondurans until July 5, 2018. A memo written by the department’s Office of International Affairs division suggested extending the temporary protective status for another 18 months, saying it made no sense to send citizens of Honduras, Nicaragua and El Salvador who were covered back to their countries of origin. The memo suggested that economies in those countries were still incapable of creating sufficient job opportunities for their young and growing populations and could not handle an influx of thousands of returning people. “We are still years away from a Central America in which people see their futures at home and not in the United States,” the memo read, according to people who saw the document. Over all, the decision to end the program received pushback from other officials at the department, Homeland Security employees said. In response to questions about pressure to end the program, they said, White House officials and Mr. Kelly were making the argument to Ms. Duke that conditions had improved enough in Honduras to allow the protected immigrants to return home.